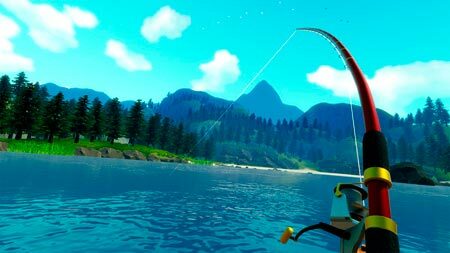 Catch & Release is an awesome VR fishing simulation game developed by metricminds GmbH & Co KG. The game places you on a beautiful mountain lake and lets you freely explore and row around while you choose your fishing spot and take in the scenery. The backdrop for your fishing adventures includes dense forest, mountains, cliffs and reed covered coastlines. Choose the right bait, pick a good fishing ground and cast your rod to get the biggest fish on the hook. You’ll have to tire out your catch and win the fight before you can reel it in. While you fish you can listen to music on the radio, skip stones across the lake or use any other of the many interactive items. If you get stuck in the game, check out the video walkthrough and gameplay for the game. This entry was posted in PC Games, Walkthrough and tagged Catch & Release Cheats, Catch & Release Game, Catch & Release Gameplay, Catch & Release Guide, Catch & Release Hints, Catch & Release Review, Catch & Release Solutions, Catch & Release Strategy, Catch & Release Tips, Catch & Release Walkthrough by Marvin. Bookmark the permalink.